We always enjoy seeing classic toys and particularly those that tea companies used to produce. 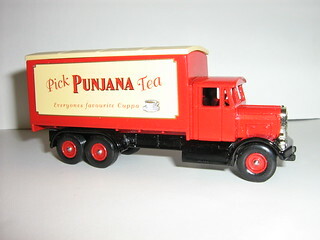 This Punjana Tea Toy Truck is a classic. Thanks to Sean for the image. You can see more of Sean’s work here.